The Metro in bringing services to the people partnered with the Provincial Department of Health in order to curb the rate of unplanned pregnancies and the widespread of HIV/Aids in Ducats. This initiative follows numerous complaints by the residents of Ward 15 which included the absence of a health facility in the area. “By intervening, we engaged the youth in an attempt to get to the source of the cause which we identified as limited access to a public health care facility,” he said. He also added that the introduction of the Satellite Clinic will not only focus on the youth but to the community at large as it will bring other health care services. Ntombi Makinana HIV/AIDS Prevention Unit Programme Manager from the Provincial Department of Health said that with the Satellite Clinic, they anticipate a drop in spread of infections and pregnancy. “The service that will be provided will also include immunization for children, dispensary of chronic medication, health screening, contraception and other non-emergent ailments,” said Makinana. She also added that the available health care professionals will be able to do referrals for emergencies. “It was a struggle for us to walk to Nompumelelo Clinic to get contraceptives or take our children for their immunizations on a monthly basis as taxi fare is not always available for unemployed people like myself,” adds Ngqobeni. 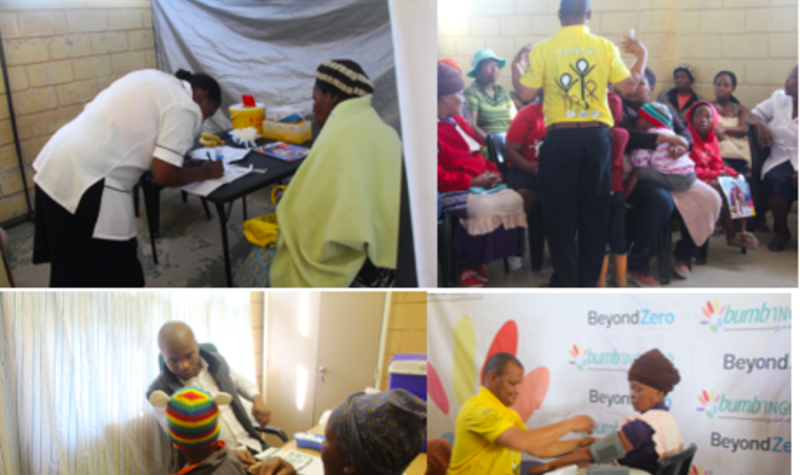 The Satellite Clinic was launched at the Ducats Community Hall on Thursday 14 June, where it will also operate.